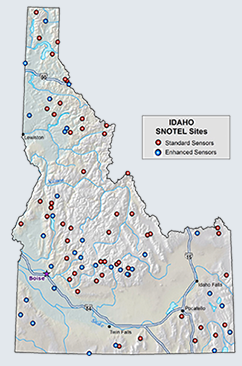 Generally stable snowpack conditions exist in the mountains of the Kootenai. Use caution in steep, unsupported terrain on northeasterly aspects above 6,000' where isolated windslabs may persist. Expect to see small "loose-wet" avalanches form on slopes exposed to solar radiation as the weather forecast is calling for partly sunny conditions through Wednesday. Yesterday we observed small, isolated wind slabs adjacent to ridgelines on northeasterly aspects. These slabs are most likely to be hazardous at upper elevations and in "extreme" terrain. Use caution before committing to steep and unsupported slopes on these aspects above 6,000'. Small windslab on Northeast aspect in East Cabinets. 10-12" thick directly below ridgeline. There is a thin layer of new snow overlying crust on solar aspects. Weather forecasts are predicting partly sunny conditions Tuesday and Wednesday. We can expect this new snow to flow down the hill in the form of "wet-loose" avalanches on any aspects receiving solar radiation. These slides are likely to be small in nature but worth paying attention to in areas above high consequence terrain such as cliffs, gullies and trees. Pay attention to the sun this week and look for better riding conditions on northerly aspects. On Monday we travelled into the East Cabinets with Kevin Davis from IPAC. We observed a small isolated windslabs on northeast aspects, old avalanche debris from last weeks warm sunny days and a generally stable mountain snowpack. Stability tests revealed a consistent weakness 11" below the surface that failed with hard force and low likelihood of propagation. This weakness has been observed across the area for the past week and is resting under the snow that came in March 8th and 9th. This layer and the February 4th rain crust are prevalant weak layers that are being watched; but, they are unlikely to cause an issue for riders unless we experience a radical change in weather such as high elevation rain or multiple days and nights of warm temperatures. As I mentioned last week these weaknesses are likely to be more of an issue in the thin snowpack of the Purcell Range. 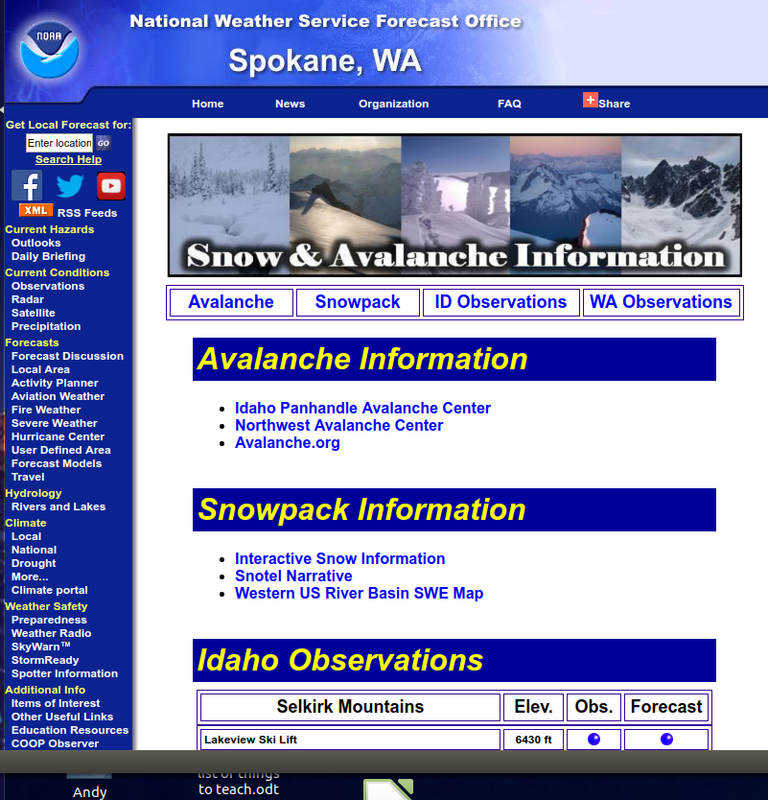 Otherwise, generally stable conditions persist with low avalanche danger at treeline and below. The upper elevations are being rated as moderate primarily due to the potential to trigger windslabs in extreme terrain on northeasterly aspects. Looking forward into the week the National Weather Service is calling for the potential of a significant moisture event coming into the mountains of Northwest Montana so stay tuned for a potential change on Thursday! see southwesterly gusts to 25 mph from time to time. continue into the coming weekend.